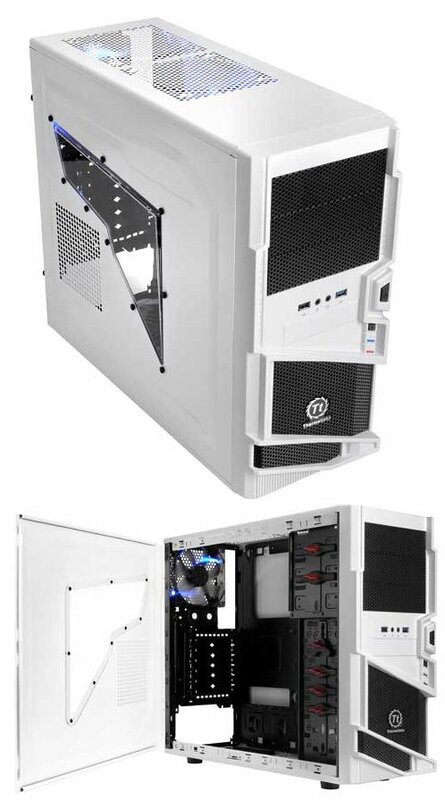 ThermalTake released the Commander MS-I Snow Edition, full specifications can be viewed over here. Thermaltake, the leader and pioneer brand in PC thermal solutions, a worldwide designer and supplier of high-performance components to the PC gaming hardware market, with “delivering the perfect user experiences” as our mission. This winter, Thermaltake has prepared Commander MS-I Snow Edition to take on a gratitude mission of thanking our fans for the support throughout the year of 2011 as well as with a new suit to blend into the snowy battlefield for e-Sports enthusiasts. Thermaltake Commander MS-I has made a huge blast since its first present in July 2011. This winter, with its determination and consistency, Commander MS-I is suited up with a brand-new snow look to move its way through a snowy battlefield. The Commander MS-I Snow Edition is equipped with extra-long VGA support which will hold some premium weapons (graphic cards) in the market, such as nVidia GTX590 and AMD Radeon HD6990 with ease, cable management and 12cm blue LED fan to enhance air mobility (ventilation), USB2.0 and USB 3.0(internal 19pin) front I/O slots allow direct data transfers during combat situation, and 9 drive bays grant with maximum magazine (HDD, optical drives) storability so you will never run out of resources! Thermaltake Commander MS-I Snow Edition is offering itself to co-op with Thermaltake headquarter Gratitude mission. The Thermaltake headquarter Gratitude mission is about composing a video thanking the support of our fans throughout the year 2011 and what Thermaltake has accomplished this year. The mission will contain two phases during each phase we will randomly pick a participant to receive the latest Commander MS-I Snow Edition which will be released at the end of November. The mission is pretty straight forward, Phase I – Be Part of the Family which will begin from 11/23 till 11/28, during this phase simply visit our event site and follow the steps on what needed to be said, recorded, and uploaded onto Youtube or related sites then post the link on our global Facebook page. Phase II – Spread the Love will begin from 12/5 to 12/12, during this phase, simple “like” the video we have composed and “share” it on Facebook, then wait patiently when we announce the lucky winners on the 13 of December.